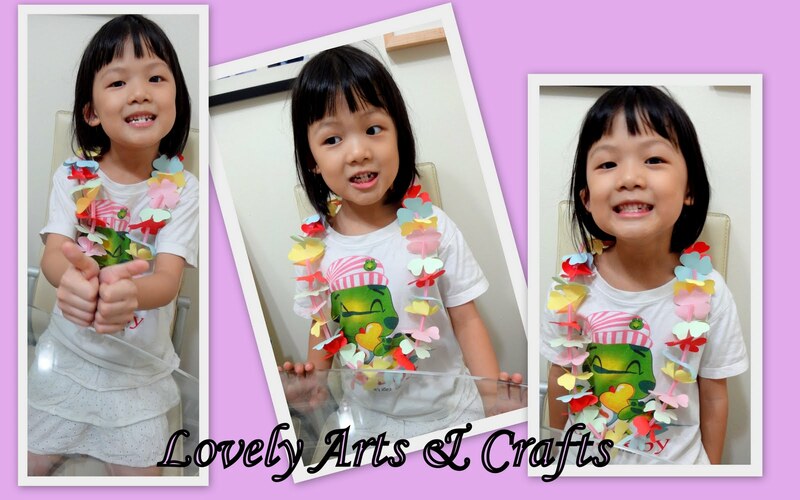 Colourful garland can be made from colourful papers or even other materials that you can think of. You may even use old magazines, artificial flowers petals, etc. What you need is some colourful papers, some straws, a scissors, thread and a needle. For kids, you may want to replace the needle and thread with raffia strings. Fold the piece of paper into half and from this half, fold the paper again as per above top left picture, where you can then draw a love shape on it. With the scissors, cut the love shape out so you can see the flowers pattern. Cut more flowers pattern out from different colour papers. Cut the straws roughly 1 inch or depends whether you want more flowers or lesser flowers. If you want more flowers, then cut the straws shorter. Thread a needle and tie a knot at the end of the thread. Then thread one flower pattern with one straw at a time until you get a long string of it. As for kids using raffia strings, just cut a little hole at the cross line of the flower pattern and then with the raffia strings just put it through and do the same thing as what we do with the thread. Here it is, the beautiful colourful garland and it's great for a party!